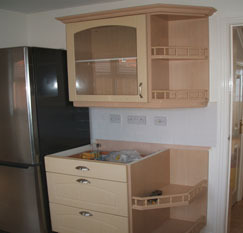 Removed all existing kitchen doors and drawers. 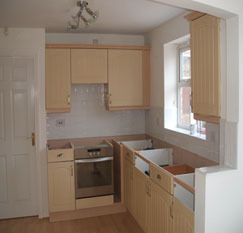 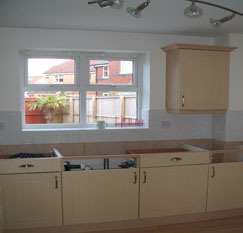 Removed existing corner units and fitted new units. 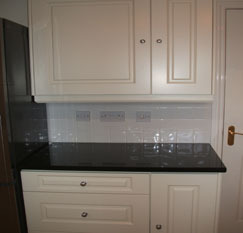 Resprayed all units and plinths in matching colour. 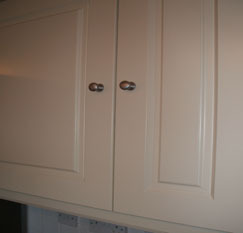 Fitted new made to measure Classical MDF doors polished in Ivory and Tongue & groove panels. 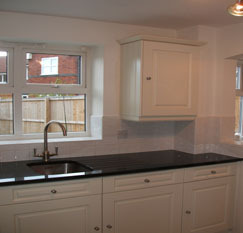 Fitted new Classical cornice and light pelmet. 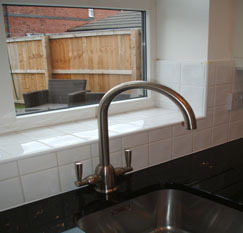 New 30mm Star Galaxy Granite installed Fitted new Franke undermount sink and tap. 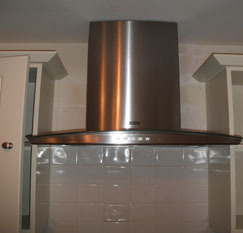 Fitted 600mm Franke Glass Hood. 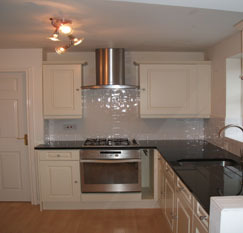 Fitted new 25mm Victoria Door knobs.